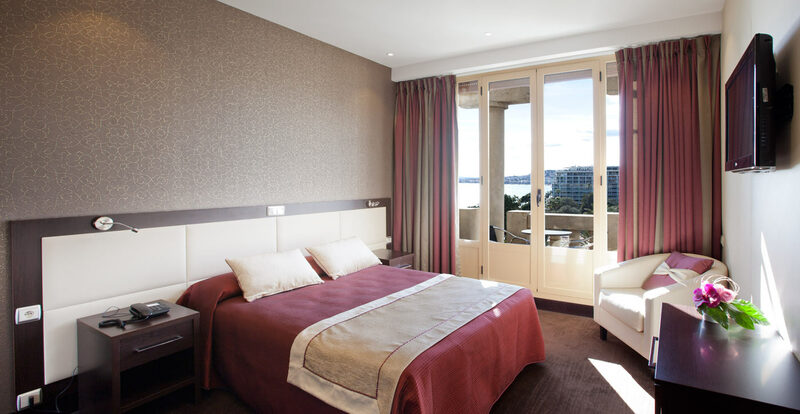 72 quiet and elegant air-conditioned and soundproof rooms equipped to guarantee your comfort and relaxation. Our reception desk is opened 24 hours a day thus ensuring guest registration or express check-out at all times. Warm hospitality will be waiting for you along with a multilingual staff ready to assist you in any way. To start your day off well, we propose a generous buffet breakfastin our breakfast room overlooking the gardens. 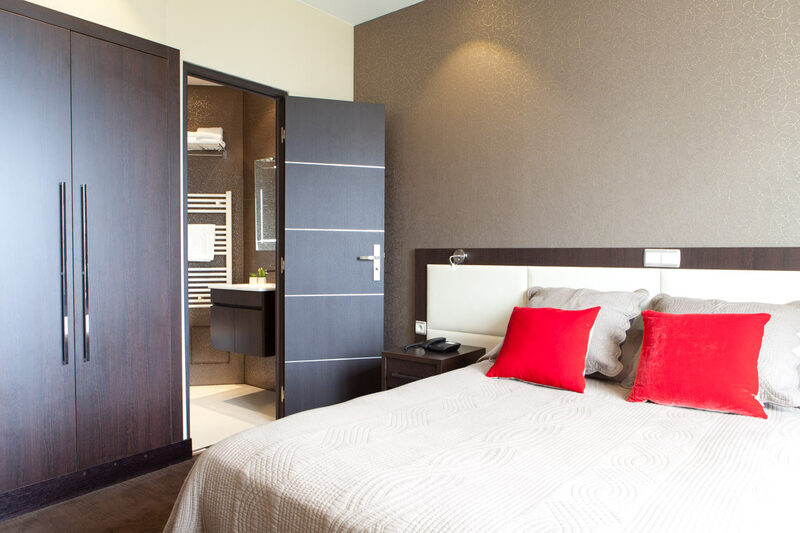 Equipped with 1 double bed ou twin beds, this air-conditioned room is equipped with free Wi-Fi. Safety Deposit Box, Air Conditioning, Heating, Soundproofing, Hairdryer, Toilet, Bathroom, Bath or Shower, Telephone, Satellite Channels, Flat-screen TV, Refrigerator, Wake-up service, Upper floors accessible by lift. 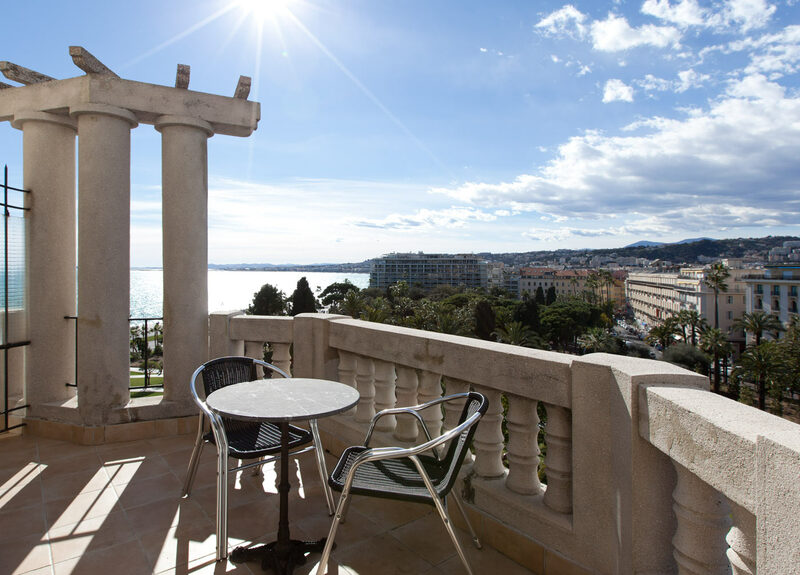 Equipped with 1 double bed or 2 single beds, this air-contidionned room offers view on the Mediterranean sea and free Wi-Fi. Some also have a terrace with sea view. 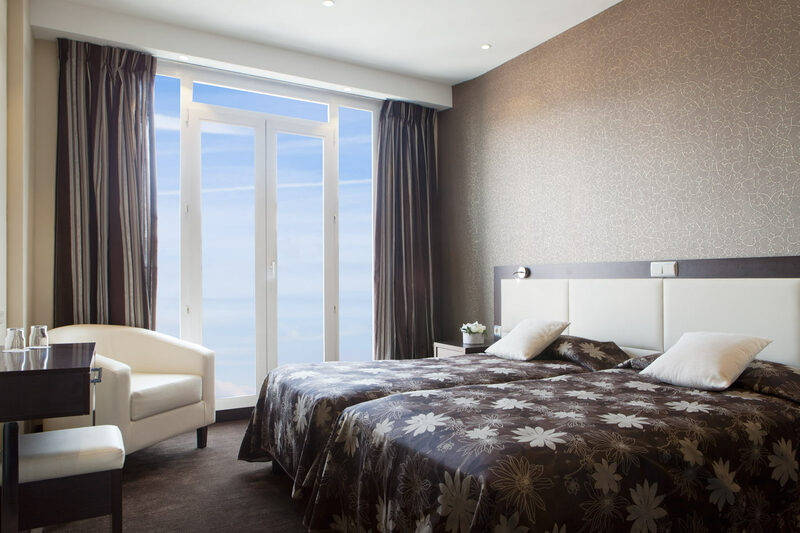 Sea view, Telephone, Satellite Channels, Flat-screen TV, Safety Deposit Box, Air Conditioning, Heating, Soundproofing, Hairdryer, Toilet, Bathroom, Bath or Shower, Refrigerator, Wake-up service, Upper floors accessible by lift. 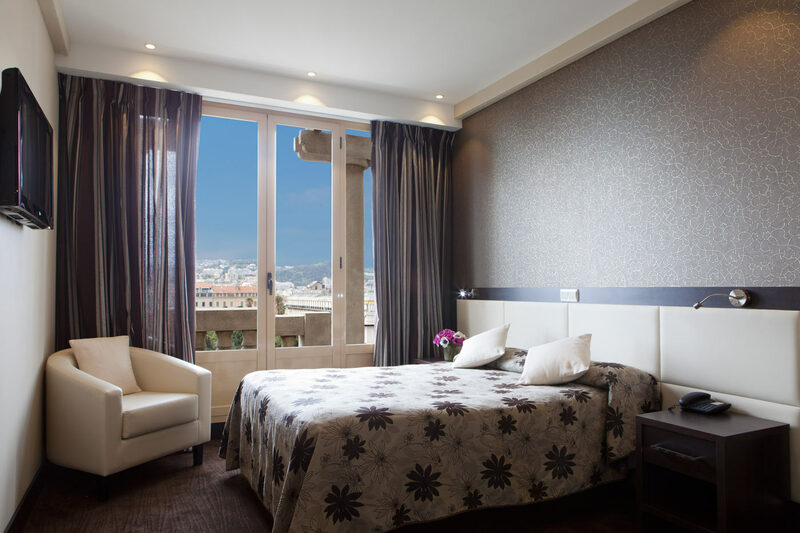 Equipped with 1 double bed or 2 single beds, this air-contidionned room offers view on the Albert 1er Garden, Place Massena and offers free Wi-Fi. Garden view, Telephone, Satellite Channels, Flat-screen TV, Safety Deposit Box, Air Conditioning, Heating, Soundproofing, Hairdryer, Toilet, Bathroom, Bath or Shower, Refrigerator, Wake-up service, Upper floors accessible by lift.